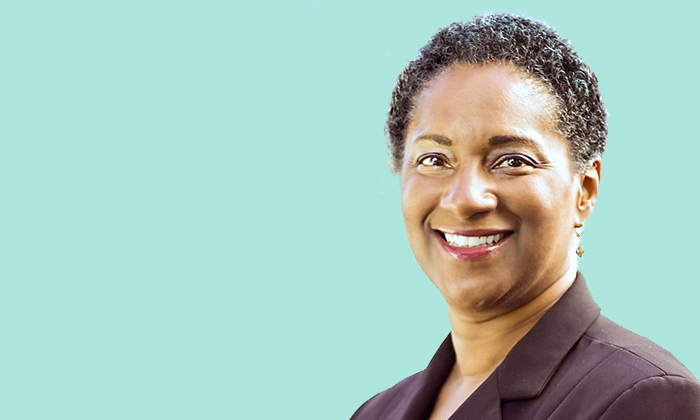 Jessie Woolley-Wilson is Chair, President, and CEO of DreamBox Learning, Inc., the company that pioneered Intelligent Adaptive Learning™. She has 20 years of experience in K–12 e-learning and has held several leadership roles in prominent education companies. Before joining DreamBox Learning, Jessie was President of Blackboard’s K– 12 Group where she led the company’s growth for the virtual and blended online learning market. Prior to Blackboard, she was President of LeapFrog SchoolHouse where she established SchoolHouse as a leader in ed-tech and one of the fastest growing educational software producers in the U.S. Jessie also held leadership positions at collegeboard.com, the interactive division of the College Board, and at Kaplan, the leading test preparation company in the U.S.
1. You have an MBA from Harvard. How and why did you decide to get into education, and ed- tech in particular? I was the fourth of seven children who grew up in a household where education was a top priority. I saw what a great education did for my parents and why they insisted on providing all of their children access to the best education available. I learned to value what a good education could do for individuals, no matter where they come from or what their background might be. As a teenager, my parents encouraged my siblings and me to find a way to give back to the community, and supporting learners was a natural pathway for me. I liked school, loved learning, and wanted to encourage and assist young learners to reach their learning potential. So, throughout college and afterwards, I enjoyed participating in volunteer efforts, like tutoring, to support students. The experience that made me think about how I could make a difference was in my second year at Harvard Business School. I joined a handful of other interns in Washington, D.C. to work with the District of Columbia Committee on Public Education. Our task was to explore how business could and should support public education. That experience was deeply influential in my development as an ed-tech leader. I saw—up close and personal—the impact of decades of poverty and unequal investment in schools and in the children who attend them. I saw the disturbing discrepancy between the kind of education students from wealthy neighborhoods enjoyed compared to the typically lower- quality learning environments students in less advantaged communities experience. I saw ravaged communities, frustrated teachers, and discouraged students whom I deeply believed deserved better. 2. One of your early positions in ed-tech included a marketing and sales role in a startup, MyRoad.com, which was later acquired by collegeboard.com. MyRoad addressed college and career planning for college kids and was one of the early entries in this category. Can you describe it briefly? MyRoad.com was a Bay Area start-up that automated the guidance counselor process for middle and high school students. We wanted to make career explorations highly personalized and relevant to students, especially those students who did not have access to great career counseling services. We wanted to help students link their expressed career interests to academic fields of study. So, if you wanted to be a psychologist, we could help you understand why statistics was so important to study and master. MyRoad was a SaaS solution that linked personality assessment tools similar to the Myers–Briggs assessment to career pathways. It was sold directly to schools. 3. Career and college planning is still vital today, perhaps even more so than before. If you were to start a site with a similar goal today, what kinds of features would you include? How would the marketing effort(s) differ? The world has changed since 2000, and so have students’ expectations. The world is hyper-connected and virtually social; students are leveraging multiple social media outlets to research their interests in real time and connect themselves to a myriad of experts who are at their disposal, almost instantaneously. Today, I’d leverage existing technologies like Facebook and LinkedIn (to name a few) to help them explore career interests and connect to experts from academic and professional sectors about which they are most eager to learn. I’m not sure I’d start a new company like MyRoad today. Today, in my view, next-generation learning companies must be adaptive in order to thrive. 4.Looking at your background, it appears that your responsibilities at LeapFrog were quite different from those you had in the past. At LeapFrog you were helping a consumer-focused company expand into the school market. What kinds of challenges did that present for you and the company as a whole? Do you have any advice for other companies that want to expand into the school market? Actually, I worked in the schools division of LeapFrog, not the consumer division. That division was called LeapFrog SchoolHouse and we partnered with schools and districts to bring LeapFrog’s early learning solutions to the education market. At SchoolHouse, we were always focused on the institutional education market. We customized the product and software that LeapFrog originally built for home use so that the devices originally designed for use by one student in the classroom could be effectively used in multiple classrooms by many students simultaneously. Our goal was to help inspire a new generation of young learners to love reading. The only advice I might offer to people considering entering the school market is to be intentional about authentically partnering with learning guardians of all types: tutors, teachers, principals, administrators, and parents. These folks are heroes and they need and deserve partners who will help them find solutions to their particular challenges. They don’t need another vendor who disappears after the transaction. They need partners with whom they will share accountability for outcomes. 5. DreamBox spans from pre–K to Grade 8 and features an adaptive learning engine as well as many gamification features. Gamification is one of the latest buzzwords in ed-tech. What is the value of gamification features? Do you think they will retain their motivational power as they begin appearing everywhere? Will they need to become more and more elaborate? If so, won’t costs go up, possibly beyond the reach of ed-tech purveyors? DreamBox isn’t a gaming company. On the contrary, we’re an adaptive learning company that seeks to delight and surprise students. We want to inspire learners to think deeply about mathematics on the road to mathematics mastery. We focus on helping learners develop a conceptual understanding of math by delivering a highly personalized, engaging, and effective learning experience. It’s fun, but it’s serious fun because at DreamBox, we’re serious about learning. That said, I have a high regard for many gaming companies. I also understand that since so many students are gamers, their expectations for what is entertaining are highly influenced by the games they play. So, while I would say that DreamBox leverages best practices from the gaming industry to keep kids motivated to persist through challenge (and like doing so), we’re not a gaming company whose primary goals is to entertain. What we’re all about is learning, for the students we serve, and for ourselves as a company. 6. DreamBox uses a lot of fun animation and original characters. These days kids are incredibly fickle in their preferences and art styles, and animation trends change quickly. How did you address this obstacle in designing your lessons? How frequently do you think they will need refreshing from a look and feel perspective? At DreamBox, we actually have three engagement frameworks: one for the primary grades, one for intermediate, and one for middle school. We do believe that what interests students across grade levels changes, so we’ve hired experts from gaming and entertainment companies with deep UI/UX experience, to help us stay abreast of the ever-changing palate of young learners. Again, we seek to delight and surprise learners, so we work hard to keep our motivational frameworks up-to-date and relevant to the students whom we serve. I expect we’ll continue to refresh and redesign our engagement framework to meet expectations and stay relevant. 7. Many people felt that ed-tech would and could revolutionize learning. Since Forbes named you in an “Impact 15” list of “classroom revolutionaries” I wonder how you think ed-tech is doing? Is it fulfilling its promise? I try not to get caught up in industry notions of success and failure. My focus is steady and firm: to support great teaching and learning with the effective use of scalable, affordable learning technologies. If we can partner effectively with schools and districts, delight and surprise learners, and earn the respect of teachers and parents, we can have a lasting impact on learning today and into the future. When we began this journey in 2006, we had a small number of students who had access to DreamBox. Now, almost 10 years later, we’re honored to be partnering with close to 100,000 learning guardians throughout North America, and delivering over 1 million lessons a day to students in all 50 states, the District of Columbia, and throughout Canada. One million students can’t be wrong. I remain bullish on what adaptive learning technologies can do to support next-generation learning. 8. What changes have you seen in ed-tech in recent years? Some people fear we are in an ed- tech bubble and that we are going to see a lot of companies fail in the next few years. What do you think? I think a new day has dawned in ed-tech. I think the future will be defined by which solutions best support learning communities. It’s no longer about technology for technology’s sake. Placing a computer or tablet in the hands of every student no longer defines success in ed-tech. Increasingly, success is defined by solutions that empower every administrator with actionable data that helps them hone their learning strategies for all students, every teacher able to provide highly personalized and relevant guidance in real time to all students, and every student more competent and confident as they direct their own learning. That’s what’s critically important to me and what fuels my passion for this work—that one day ALL students, regardless of where they live or where they are from, will be provided with an equal opportunity to learn. That’s why I believe that in the future, we will see more high-quality solutions like DreamBox in more learning communities, both formal (i.e., a classroom) and informal (i.e., at home) as winners. Quality can and should win in ed-tech now. Increasingly, students are demanding a relevant education that will prepare them for a globalized and information-driven world; parents want their kids to have access to an education that is student-driven—beyond student-centered—that will allow them to make and remake their skill sets as this highly changeable world continues to evolve; and administrators want effective, affordable, and high-impact solutions to accelerate positive learning outcomes for all students. Students and teachers are now much more adaptive in the learning environment, and in order to unlock the learning potential of all students, adaptive learning technologies are a must-have in today’s most effective educational environments. The next frontier is in job-embedded teacher learning and development. When we empower and delight learning guardians, they, in-turn, empower and delight the students they serve. As someone who believes that we should all be lifelong learners, I’m super- excited about the next-generation solutions that see educators as learners, too. Unsurprisingly, I’m talking about the road ahead at DreamBox. I’m most proud of the exceptional team of professionals who have devoted their hearts and minds to the important work we do at DreamBox: unlocking the learning potential of every student, regardless of their zip code. I continue to be inspired by the courageous and enlightened choice these dedicated professionals make every day they come to work. The heart of DreamBox is its people, and its magic is the unique experience we deliver to teachers and students with the pioneering adaptive learning technology we first developed in 2006. No kidding, I couldn’t be prouder. The most surprising thing in my experience is that I am a liberal arts trained professional, leading a software company 3,000 miles from where I grew up. This is only possible because of the amazing partner I have in my wonderful husband, David. No one achieves what they achieve without the support and help of people who love them. No one. The biggest risk I took was early in my career. After graduating from a top-tier MBA program and beginning a career at a Fortune100 company, I left it to embark on a personal and professional calling: education technology. I made this change in the 90s when there were few long-term opportunities for professionals with business degrees in the field of education. The ed-tech industry was in its infancy and there weren’t many non-educators with business training, like myself, in the field. As we touched on earlier, I followed my inspiration and my keen desire to combine my long-term interest in education with my training and expertise in business. There weren’t many role models to emulate at the time … but there were a few. I had support from some extraordinary mentors, women in particular, who were icebreakers in education technology and who were pacesetters for those who would follow. Many of them cut their teeth in the education sector as classroom teachers, and then made the transition to ed-tech when companies like Apple permanently changed the landscape and career pathways for these innovators. With their mentorship, the risk I took early in my career did pay off. One of the greatest lessons I’ve learned is the importance and value of “paying it forward.” There are amazingly talented professionals from diverse sectors who possess broad intellectual and professional backgrounds who share my passion to shape the future of learning. This new ed-tech sector is now competing for and attracting the best and brightest to this important work. It must continue. The future of our children, our communities, our nation—and I’d argue, the world—depends on it. The broader education sector must successfully attract and retain creative, passionate, and dedicated professionals to thrive and have the sustained impact we envision. 13. We call this blog “Influences and Influencers.” Who are the people who have influenced you? Have you ever had a mentor? Can you tell us about him or her? Whose work or input has impacted you the most in your career and how? This one is hard to answer… there have been so many people who have influenced and inspired me in my life. I’m fortunate. The list begins with my devoted and remarkable parents—gracious and kindhearted people—who encouraged me to follow my heart’s desire when pursuing academic and professional pursuits, and to avoid the temptation of conflating wealth with riches. They taught me that wealth is the ability to do what you want to do, what you are passionate about doing, rather than what you have to do because of life’s challenges and limitations. I didn’t understand what they were trying to teach me until many years later. Then, there were countless people, women and men, academic leaders and professional leaders who took a chance on me. Early in my career, these mentors saw something in me I didn’t see in myself. When I was in banking, I had a manager who unselfishly invested in me and my future. Joanne insisted I apply to Harvard Business School and refused to write me a recommendation for any other program until I applied there. I didn’t think I’d get in … but she did. She was right. When I asked her how I could repay her for her support and her confidence in me, she only asked that I “pay it forward.” I am forever grateful to Joanne for believing in me and for teaching me a valuable lesson about leadership and the importance of developing emerging talent. In other words, these caring mentors invested in me and shaped my belief that it was important to help others be more successful—to help them fulfill their potential. Really, there are so many trendsetters who came before me; they supported me when I was young and clueless, and helped me through tough times. They taught me the importance of growing and learning by doing, and the value of persistence. I’m eternally grateful to all of them for sharing their wisdom with me. I resist the urge to rewrite history. I believe all of our experiences, the good and the bad, are each a piece of the mosaic that is our full selves. While the past is filled with mishaps and missed opportunities, I believe that every experience, met with resilience and persistence, helps us to grow and learn. I focus on looking forward rather than through the rear view window. There are so many interesting people and possibilities yet to encounter and grow from, and so much to see and experience on the road ahead! I don’t want to miss anything looking backwards.